Kirinari, an Aboriginal word meaning “place of learning”, stands on 2½ acres adjacent to Kareela Golf course, just off the Princess Highway at Sylvania Heights. The hostel provides accommodation for students of Aboriginal descent from communities across the state so that they can attend local high schools. At the hostel, provision is made for study areas, cultural resources, art, craft, technology and sporting facilities.At Gymea Technology High School, Kirinai students are supported by Aboriginal Education Officer, Sandra Blackburn who supports students in making the transition from the country school to Gymea and the local community. As well as assisting students and working with Gymea staff and Kirinai House Parents, Sandra liaises with local community groups and Kirinari parents and organizes special events at the school. During the late fifties a group of young women from Gymea, responded to a call by the Aborigines Welfare Board to arrange home billeting for Aboriginal children aged from two to twelve years to stay in Sydney for dental and medical care for periods up to six weeks at a time. Led by Hazel Wilson from Gymea Congregational Church, a small group of women worked with parents to assure them that their children were in safekeeping. Together with the Member for Hughes, Leslie Johnson AM, the Aboriginal Children’s Advancement Society was formed at a public meeting held in the Miranda School of Arts, in February 1963. 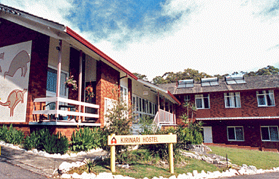 The first stage of Kirinari Hostel was opened four years later on National Aborigines Day, July 1967. Extensions followed over the years, culminating in the opening of the Bert Groves Wing on 22nd May 1971. Plumber, Soldier, Author, Honorary Rotarian, Gentleman and Friend to so many people, Bert Groves spent a lifetime in the advancement of his people and in his fight for “Justice and Equality For All”.